theatre, poetry, stilt acro performance, and comedy. 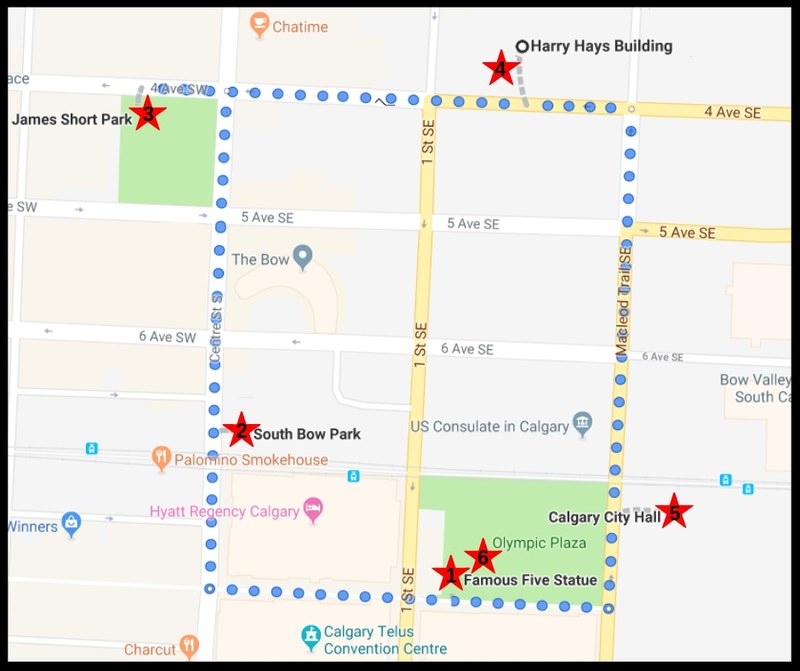 This year 10-Minute Plays for Jane’s Walk has invited six local companies to create and present a 10-minute play focusing on what’s at the “core” of being Calgarian. 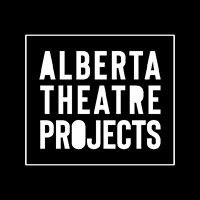 The performances will showcase different perspectives and experiences of all Calgarians and will explore the themes of community and identity in Calgary. 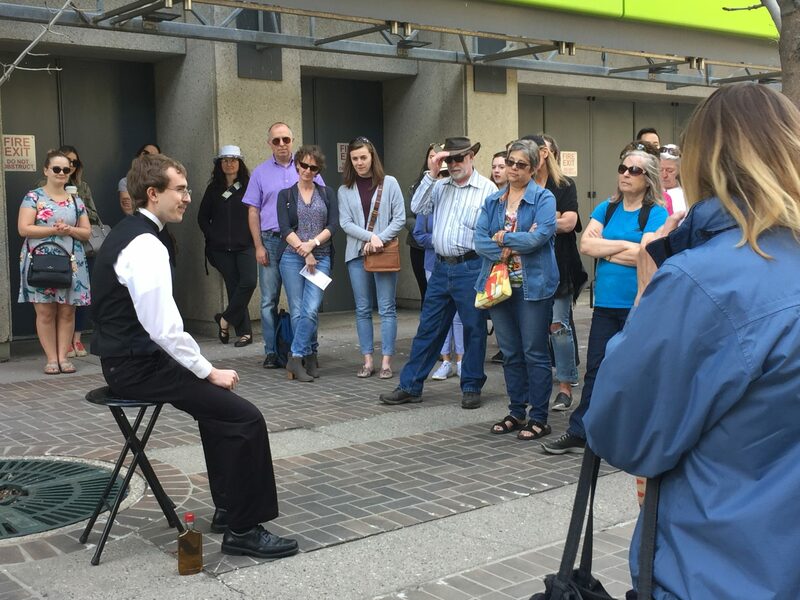 With support from Alberta Theatre Projects and The Calgary Foundation, selected companies will present their plays in succession throughout the downtown Core the weekend of May 4 and 5, the international Jane’s Walk weekend. *Please note that the route is subject to change slightly due to weather conditions. 1. The Famous Five in Song! A brief history of the famous five, what they achieved and what still needs to be accomplished. This performance stresses how we can take courage from their accomplishments and move forward today to rectify elements of today’s life that need to be challenged. This performance illustrates the success and resilience we celebrate in Calgary. The piece outlines the lives of remarkable Calgarians who demonstrate remarkable passion and strength. It’s a fast-paced, fun, comedic epitaph to the men and women who have shaped Calgary into a place for growth and prosperity. 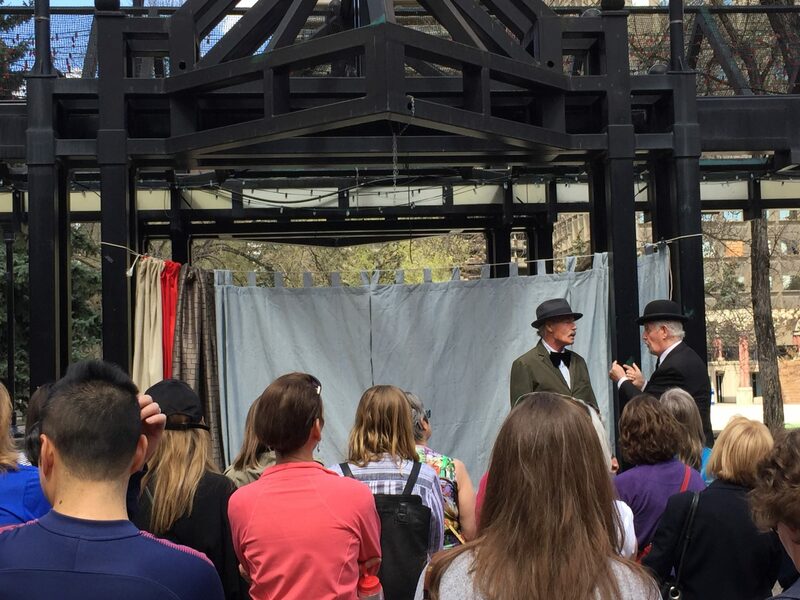 Join playwright and poet Dale Lee Kwong as she gives a brief introduction to the history of Calgary’s Chinatown in How the West Was Won in Chinatown. Then, learn how Chinese culture and Chinatown have impacted Kwong’s writing and artistic practice. Visit a few of Chinatown’s secret murals as Kwong presents her monologue, Ai Yah. Two women meet in an office, one an immigrant from the past and the other an officer from the present. The immigrant is trying to navigate through the challenges of creating a new identity while wanting to stay true to her roots. The play explores and plays with cultural differences, language, and the human desire to belong. Inspiration for god is A MAGPIE is rooted in prairie geography (space, place, and a sense of opportunity) and a sense of belonging where the individual voice adds to the power of the collective good. The natural world, particularly at the point where harmony unravels into cacophonous discord, sets the stage for this piece. Created and performed by Allara Gooliaff. Including Veronica Rawnsley. Everyday hundreds of office workers take their lunch breaks in Olympic Plaza. Half of these people are women. The play centers around three of these young professionals. Three women voicing their concerns about the subtleties of workplace inequality, how fear that you won’t be taken seriously and fear to stand your ground in your workplace still persists. The three women’s stories weave around each other, eventually intersecting to reveal a commonality in their experience. 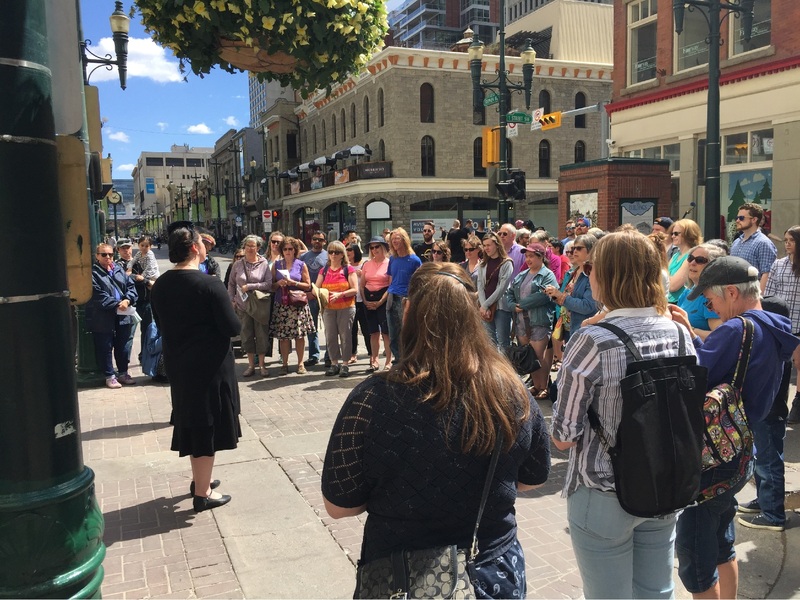 Jane’s Walk is a global festival of free, locally organized walking tours through which people explore, talk about, and celebrate their neighbourhoods. Named after Jane Jacobs, an author and activist who championed a fresh community-based approach to city building, the walks take place around the world on the first full weekend of May. Jane’s Walk in Calgary is organized by the Calgary Foundation. Details here.